Before I give you my recipe I need to be very clear. ALFALFA is considered a "high risk crop." This means that Alfalfa is on of the top 10 Genetically Modified plants in the US. **I am still looking for accurate figures for CURRENT GE Alfalfa** Unfortunately, that info isn't always readily available. Alfalfa is the #4 crop grown in the US behind Corn, Soybeans and Wheat. 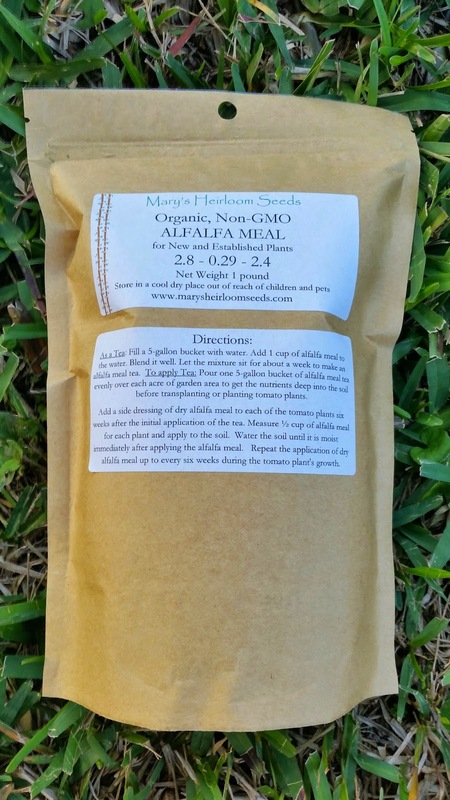 This is why I chose to offer Organic, Non-GMO Alfalfa Meal at Mary's Heirloom Seeds. It wasn't easy to find and it certainly wasn't cheap. Non-GMO is the way to go!!! Making a Liquid fertilizer is pretty easy. I used make Seaweed tea every year but not everyone has access to seaweed. Now I make Alfalfa Tea. It's also important to mention that while I call it "TEA," I DO NOT DRINK IT! Just need to clear that up. 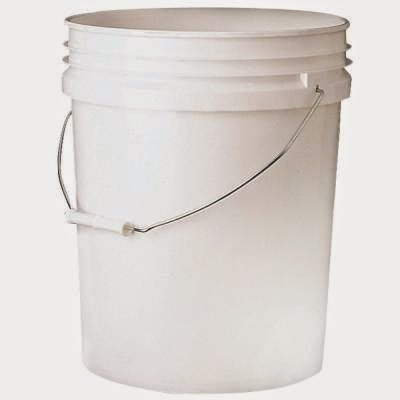 Fill bucket with water, let it sit from 1 to 4 days. The result will be a thick tea. Apply generously to the root area of shrubs and flowers or use as a foliar spray after straining the solids out. The longer it brews, the better it is but the worse it will smell. Alfalfa helps plants create larger flowers and increases the tolerance to cold. Good for all flowering plants. Research has shown that using more is not better. 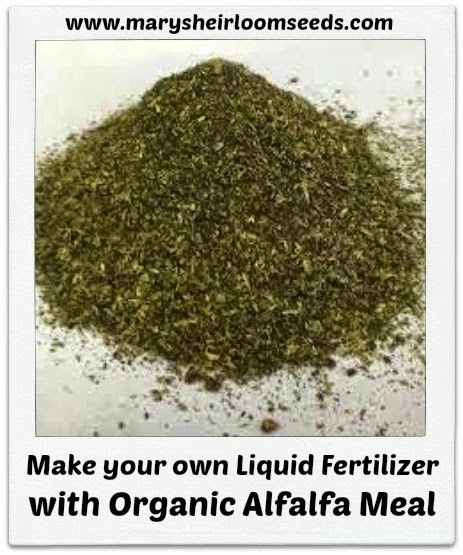 This recipe can easily be cut in half by using 1/2 cup Alfalfa Meal and 2.5 gallons of water. You can also make a HUGE recipe in a large trash can if you just multiply the ingredients. It's easy to make and very healthy for your plants. We made a VIDEO for you just to make it easier! Veggies such as squash, tomatoes, peppers, etc are considered flowering plants. You can use this mix on flowers, veggies and fruits.